Complete the form below and we will contact you with more information about the program! Bellevue College’s Bachelor of Applied Science degree program in Information Systems and Technology (IST) meets the explicit need employers have identified for systems administrators, security analysts, data specialists and application developers through providing a pathway to the baccalaureate for students with two-year technical associate degrees in IT. The decision to offer this particular degree was based in part on findings by the Bureau of Labor Statistics that a bachelor’s degree is now considered the minimum level of education for a variety of IT occupations. As a result, more students, along with existing IT professionals, will need to continue their education at the bachelor’s level. The BAS degree program in Information Systems and Technology has 3 specialized concentration areas for students to choose from. More information about each concentration is available on the applicable tab. This concentration will include fundamentals of programming, OOP, design patterns and practices, database applications, web technologies, and application environments, including mobile devices and the cloud. *Program Requirements have changed beginning Fall 2019. Technology and/or math credits must not be more than 5 years old. Notice: This list is for informational purposes only. Please verify information with the IBIT office before making decisions based on this information. The full set of degree requirements are listed on the Degree worksheet. Contact Alysa Kelsey, the BAS IST Program Manager, to help develop an education plan / schedule. What’s the difference between Programming and Computer Science? This concentration prepares graduates for roles in data management and data analysis. The concentration includes design and implementation of relational databases and data warehousing, data interchange, skills in predictive analytics, visualization, reporting and performance management. This concentration prepares graduates to monitor and maintain system security solutions, including legal, regulatory and internal compliance solutions. Graduates will be able to translate security policy into technical architectures. In addition, this program prepares students for system administration tasks which include interoperation, automation, virtualization and storage. First time BC students and previous BC students who are returning to the college after four or more quarters must apply to BC first. As a part of this process, students will need to submit all Official Transcripts from all regionally accredited colleges attended, other than BC. Current BC students may skip Step 1 and start at Step 2. Complete Step 1 at least two weeks prior to the application deadline. Processing time for general BC admission is typically 1-3 business days. Admission to this program is competitive. Meeting minimum requirements does not guarantee admission, as the number of qualified applicants may exceed the number of available enrollment spaces. If you have transfer credits, your application will be reviewed with unofficial transcripts, but your acceptance will not be determined until official transcripts have been received and evaluated through the above process in Step 1. Admission decisions will be communicated by May 20, 2019 for applications received by April 30, 2019. Application payment will be accepted at the time of completion. Please have your form of payment prior to beginning the application. The application fee for BAS programs is $75. 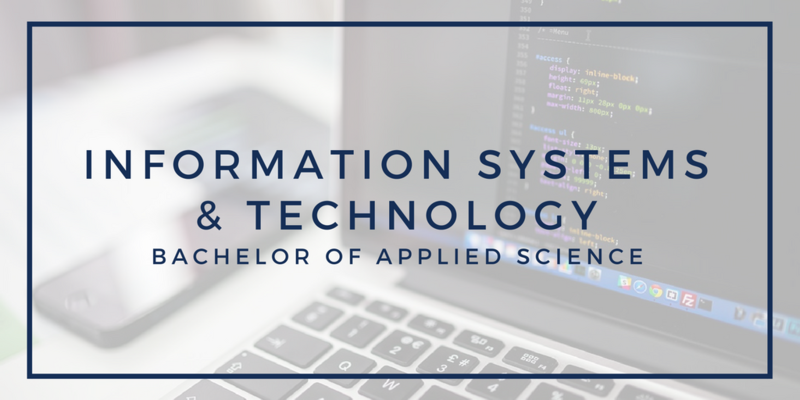 The BAS degree in Information Systems and Technology is a part of Bellevue College’s Institute for Business and Information Technology department. Our goal is to provide students with meaningful preparation to meet the challenges of a global environment in world of IT. For general information about the degree, use the form at the top of this page. For specific questions or to set up an appointment you can contact the Program Manager for this degree: Alysa Kelsey. I have a degree in Journalism and Computer Science from the Evergreen State College. 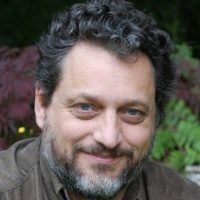 The author of ten technical books which have sold well over 100,000 copies, Charlie currently lives in the Seattle area where he enjoys outdoor activities such as hiking, sailing and skiing in the mountains. 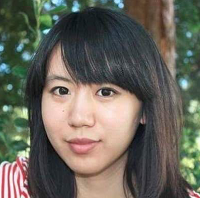 Charlene Cheng is a full time faculty of Data Analytics at Bellevue College. She graduated from UC Berkeley, double major in Computer Science and Data Science. Prior to teaching, she worked at Microsoft for more than 3 years. By utilizing a large set of data sources and applying analytical methods, she contributed to the continuous improvement of Microsoft and delivered a bunch of actionable recommendations on business approaches. She is also expert in the field of large scale machine learning and natural language processing. Eric has worked as a full-time penetration tester for the Boeing IS Red Team as a Cyber Security Assessment Specialist since 2013. Prior to this he worked for Boeing on their Cyber Incident Response Team. He has volunteered as a Red Team participant in the Pacific Rim Collegiate Cyber Defense Competition (PRCCDC) since 2010. He is the faculty advisor for the Bellevue College PRCCDC student Blue Team. Experienced Engineering Manager, now moved onto a second career as faculty at Bellevue College’s Institute for Business & Information Technology where he develops curriculum and teaches application programming courses. He is an avid motorcyclist and does astrophotography. He really enjoys getting emails from students who have accepted jobs, and having summers off. Phone: Send e-mail to connect via Zoom. Energetic problem solver who enjoys working with people. Gerald comes to us after serving in the IBIT department as Information Technology Manager for the Virtual Lab Program. He was the chief architect and pioneer in designing and managing the overall NSCOM and IST program content behind the scene from inception in 2013. He successfully managed all technical aspects of ensuring staff, faculty and students alike were able to maximize learning success in the new virtual lab program environment. He brings well over 26 years of customer service excellence, organizational leadership, personnel, program, project, and IT management as well as being an Air Force commissioned officer veteran culminating a 22-year career. Snippets of his vast capabilities include managing multiple multi-million-dollar LAN/WAN and IT tech refreshes and infrastructure upgrades for a large Western Regional trauma II military healthcare facility, Madigan AMC, where he served as Director, Network Operations overseeing all aspects of IT and Network Security for the site. In another project, he managed a portion of the $100M Air force wide personnel system overhaul project leading travel and install teams to successfully convert HR programs, software, applications and hardware at bases world-wide. He has a dual Business and Management Information Systems bachelor’s degree from Saint Martin’s University, a master’s degree from Faith International University in Counseling and Divinity and is currently pursuing a doctoral strategic business leadership program. I hold an Associate degree in Science and Engineering from Henry Ford College, a Bachelor’s degree in Economics from the University of Michigan, an MBA from City University, and a Juris Doctor from Seattle University School of Law. I have been very privileged both in educational opportunity and professional activities in the public sector, private sector, and academia, including being an air traffic control specialist and instructor, entrepreneur, manager, corporate trainer, state director within a national business program, consultant with a national consulting firm, associate dean, academic program chair, along with legal and appellate work. Although business and law are my passions, my favorite is doing this, helping people learn and grow through education. In my free time I like to fly, being a licensed pilot, enjoy photography, and other outdoor activities like biking and fishing. 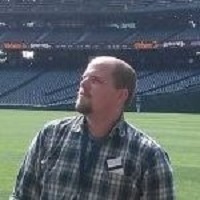 Drew Hunt is currently the Director of Technical Services at UW VMC and an adjunct professor at Bellevue College. Drew provides leadership for the continued development of an innovative, robust, and secure information technology environment throughout the Hospital and Clinic system. The primary responsibilities for this office encompass a wide variety of strategic technology issues: governance and policy, resource allocation, information technology protocols, and day to day keeping the lights on and providing support for the complex environment. Prior to his current work he spent a half dozen years as a Microsoft Trainer in Europe and before that was an Intelligence Analyst for the US Army in the 82nd Airborne Division and has his M.Ed. from National Louis University Heidelberg, Germany and a B.A. in Spanish and International Relations from UNC Pembroke in Pembroke, NC as well as several dozen industry certifications over the years. Stephanie is a tenured faculty member in the Communication Studies Department. She came to Bellevue College in 2003 having previously taught at Palm Beach Community College and California State University, Long Beach. Stephanie has her M.A. in Speech Communication from California State University, Long Beach, where she was also the assistant to the Director of the Center for First Amendment Studies and the Freedom of Expression Foundation. Her particular interest of study and teaching is in Intercultural Communication; a field in which she is also published. Courses she has taught include Intercultural Communication, Small Group Communication, Interpersonal Communication, Introduction to Public Speaking, Advanced Organizational Communication, and Introduction to Communication. Stephanie’s teaching philosophy incorporates practical application of scholarly theory in an effort to improve students’ lives. When not teaching or researching, she can be found following her bliss via cooking, hiking or taking in a Sounders game. During Ski’s 30+ years experience as a system admin and IT Manager at large and small organizations, he has seen major changes in information technology systems and their impact on organizations. 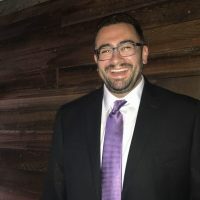 He currently works as a system admin at the Northshore School District WA, an adjunct Professor at Bellevue College, and is a Drector of the League of Professional System Administrators (LOPSA). 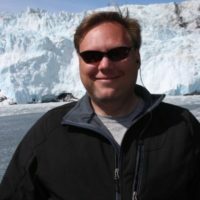 Ski loves to teach and has given presentations and tutorials on various aspects of technology at LinuxFestNW, ACPENW, SCALE, Cascadia, and Cisco conferences along with several user groups. When not busy at a computer, Ski enjoys working in his garden, volunteering with King County Search & Rescue, and hiking in our wonderful Cascade Mountains. 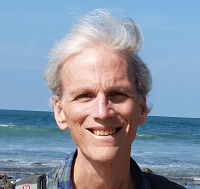 Tom is one of the Lead Tenured Faculty within the Networking Services & Computing Systems (NSCOM) and Information Systems & Technology (IST) Programs at Bellevue College. He is alumni of the NSCOM Program and he received his BS in Technology from Eastern Washington University (EWU). Tom is certified in several areas of CompTia, Microsoft, Cisco, Amazon, EMC, VMware as either a technician or a technical trainer. He is a practitioner of his crafts as he is a part-time Engineer with a large enterprise and a continuous consultant/contractor with several local, state and national agencies. At this time, he has over 16 years of direct IT experience, and growing. In his “not so much spare time” Tom goes back to his roots. He has been blowing glass for the last 20 years and he enjoys rebuilding neglected chainsaws from the early 1900’s. 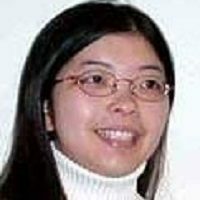 Winnie Li was a teaching and research assistant in Statistics at California State University at Hayward. She was one of three students out of 230 who won the 2005 George J. Resnikoff Memorial Scholarship. She also won the best TA of the year award in 2001. She has a MS in Statistics from CSU Hayward and a BS in Computer Science and Engineering from UC Davis. She has worked as a financial analyst for Clearwire and Microsoft using large databases to do financial modeling. Winnie won the Bellevue College Margin of Excellence Award in 2010. Tim Linnemann has been teaching philosophy at Bellevue College since Winter 2011 and has served as the faculty advisor for BC’s student Philosophy Club since Fall 2012. 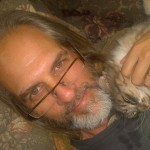 He is passionate about making the world of philosophy accessible to anyone unfamiliar with it and also with bridging the conceptual and cultural barriers that separate different philosophical paradigms, with the hope of enabling them to have critical, respectful, and productive conversations with each other. Examples include secular/religious, eastern/western, and analytic/continental systems of philosophy. In his free time he currently is enjoying growing into parenthood and is an avid board game enthusiast. DEGREES: B.A. in Philosophy, University of Puget Sound; M.A. in Philosophy, Western Michigan University. AREAS OF INTEREST: Ethical Theory/Moral Psychology, Philosophy of Mind/Cognitive Science, Eastern Philosophy. Art Lovestedt has been a CIO for nearly two decades, including extensive academic and professional experience in business management and information technology. 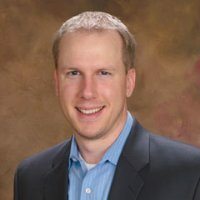 He has been the CIO at PlayStream (now Internap), Guidant Financial Group and Online Video Service, and held contract or consulting positions at ShopNow.com, Blue Nile and TPI Software (now Hypercom). Five previous companies have gone public or been purchased by a public company during or just after his tenure. Areas of expertise include strategic planning, process automation and efficiency, information system design and management, web marketing, team building and business development. 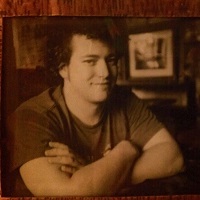 Currently, he is a founding partner at Executive TimeSlice and serves as a fractional CIO for several companies. Art holds a M.S. in Computer Systems with an emphasis in Technology Management, and a B.A. in Business Administration with emphases in Organizational Behavior and Marketing from the University of Washington. After a long and storied career building software products at major software companies, I’m delighted to bring my decades of experience to the students of Bellevue College. I have a broad background in software development from programming in a variety of low- and high-level languages, through engineering management and program management across all stages of the development life cycle, to the creation and presentation of marketing collateral. Most of my last two decades were spent at Microsoft, where I worked in program management on such diverse products as SQL Server, Visual Studio, Team Foundation, Bing, and Office 365. Before that, I worked at Texas Instruments and a variety of smaller companies and start-ups on developer tools, database products and ERP solutions. It is with great pleasure to be teaching at Bellevue College. I have been working in IT for over 25 years. I have done plenty, from service and support for a computer store, building machines, installing networks, running cable, to running my own company “The Computer Sleuth”. My work experience isn’t just with computer’s but you have to come to my class to learn the secret life of an IT Professional. I just celebrated my 10 year anniversary as the IT Directly for Abbott Construction. Abbott Construction is a 150 Million Dollar a year commercial general contractor with offices in Los Angeles, Portland Oregon, Tacoma WA and headquarters in Seattle. My core value is that IT / Technology in general is not about the electrons and the voltmeter but rather the people. I truly love the opportunity to provide solutions, solve problems, and provide the opportunity to show people how to do it better and faster with technology. 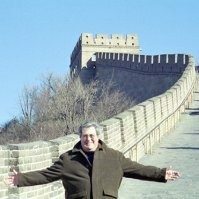 I am chair of the Bellevue College Philosophy Department where I’ve been teaching for 18 years. I hold a BA and an MA in Philosophy from Arizona State University and a PhD in philosophy from UC Davis. Obviously a cat lover. When not reading, writing or teaching philosophy, I’m most likely out on a long bike ride, working in the garden or cooking. Randal is a senior consultant specializing in Microsoft SQL Server, .Net web applications, and technical education. He has worked in the industry since the 1980s, with experience in both network and database administration. 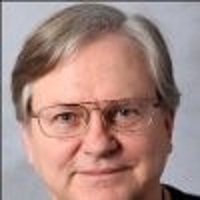 Randal, currently consults on creating database, business intelligence (BI), reporting, and personalized training solutions for small to mid-size companies. 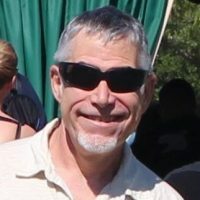 Randal has been teaching BI and .Net programing for Bellevue College, the University of Washington, other colleges and private schools for almost twenty years now. During that time he has authored the books “A Tester’s Guide to .NET Programming” (Apress) and “Pro SQL Server 2012 BI Solutions” (Apress), and earned several Microsoft professional certifications including MCSE, MCP+I, MCTS, MCDBA, and MCAD. Cyber security experience and computer programming professional with over a decade of first-hand experience writing, developing, researching and producing technology internationally. Written and published appealing, unique and user-friendly security software reviewed and awarded from multiple networks. Proven ability to quickly learn new business areas, software applications, and the data they contain. Excellent analytical, organizational, communication and documentation skills. I maintain a strong work ethic while striving for excellence in all new challenges and projects I work on. My solutions to complex challenges shows my attention to details and reflects in my ability to complete business solutions that are required to maintain the level of expertise for which I strive. I am a strong team player as well as an individual contributor. Specialize in the area of Business Intelligence (BI). 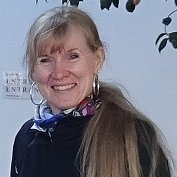 Sylvia Unwin has been teaching at Bellevue College since 1998. She is the assistant dean for the Institute for Business and Information Technology division; program chair for the division’s Information Systems AAST program which include programming, database, and business intelligence courses. She is also the program chair for the Network Services & Communications Systems AAST program which include network administration, system administration and cloud services. She currently teaches programming and business intelligence classes within the IS program. 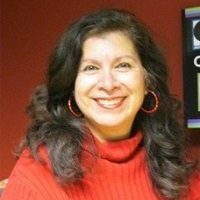 Sylvia’s teaching career began at Tacoma Community College where she taught VB programming, database theory, and software applications. Sylvia’s industry experience includes working in the aerospace industry as a senior software engineer and as senior programmer/analyst for a financial fiduciary company. 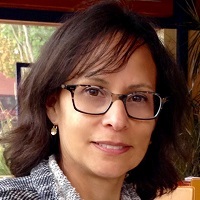 Sylvia earned her Bachelor’s degree from Pomona College and a Masters of Science in Computer Science from West Coast University in California. When will the BAS IST program begin? 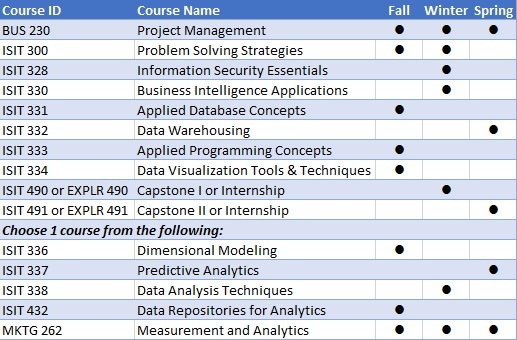 We admit a new cohort for the BAS IST program each fall quarter for the Business Intelligence and Application Developer concentrations. The Cyber Security and Systems Administration concentration can have cohorts each Fall, Winter and Spring quarter. Generally students applying to the BAS IST program have completed an associates degree in IT. If you do not have an associates degree in IT contact the Program Manager for more information. Besides a completed associate’s degree are there any other pre-requisites? Yes, you can find the specific course prerequisites on the specific concentration tab that you are interested in. Yes, students who have not been admitted to the program can register for up to 10 credits of coursework on a space-available basis, if they have appropriate prerequisites. To find out if you qualify to take a course and receive an entry code, contact the Program Manager. Can I apply now even though I will not finish my AAS or AAS-T until the end of spring or summer quarter? Yes, you can apply now and any admission decision would be contingent upon your completion with acceptable GPA as described in the admission requirements. I received my AAS or AAS-T over ten years ago. Am I still eligible to enter this program? Technology and math coursework will only be applied toward admission requirements if it was taken in the last 5 years. Other coursework (i.e. English, humanities, science) can be applied no matter the date completed. Yes, you may qualify. Please be aware that there are deadlines that need to be met in order to qualify. Please contact the Financial Aid office for more details: https://www.bellevuecollege.edu/fa/. Some classes may be available online, but many are offered primarily on the Bellevue College main campus. Yes. 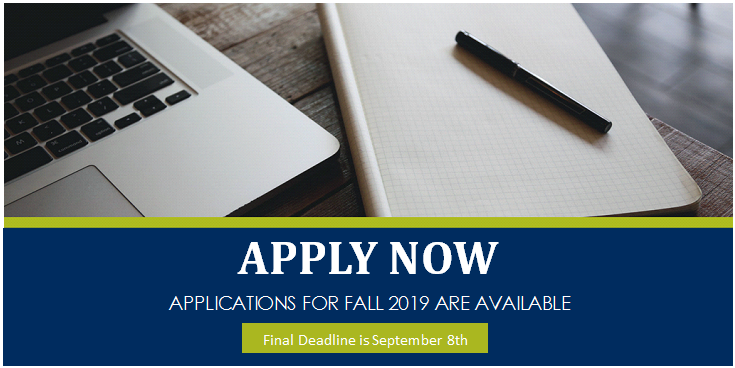 You will receive a letter advising you of additional courses you need to take or other ways to strengthen your application for the next time you apply. Yes. You will be able to build on your body of knowledge if certain courses are taken before others. Your sequence of courses will vary depending on whether you attend full-time or part-time, and on your previous education. Your program advisor will help you develop a program of study to gain the most benefit from each course. For a standard course schedule, please see the specific degree concentration tab. There are three areas of concentration, can I select more than one and get a double concentration? No, at this time there is only one BAS degree in Information Systems and Technology and you can only select one area of concentration. After admission, the BAS degree totals 90-95 credits and can be completed in 6 quarters of full-time attendance, typically three courses each quarter. Individual pacing is possible, but students should plan on taking at least one course each quarter so that the material remains current and relevant. What is the Probation and Dismissal policy? For the specifics on Academic and Conduct Related Probation and Dismissal, please read the full policy: https://www.bellevuecollege.edu/ibit/bas-probation-and-dismissal/. The Northwest Commission on Colleges and Universities (NWCCU), a regional institutional accrediting body recognized by the Council for Higher Education Accreditation and the U.S. Department of Education, has granted Bellevue College accreditation at the baccalaureate level. Yes. This is a state-supported program, thus it is eligible for state employee waivers. Our website contains the best information. You may also contact the Program Manager to discuss the program in more detail.